Rajneesh Negi did B Pharma from SBSPGIMS, Dehradun and MBA from IMS, Ghaziabad. Since 2006, he has been working in sales and marketing field for various companies. In 2016, he started working for Arosol Pharmaceuticals as a marketing manager and since then he is working there. "Selling" or making sales consists of interpersonal interaction-the one-on-one meetings, telephone calls and networking-that you engage in with prospects and customers. The term "marketing" encompasses programs businesses use to reach and persuade prospects, including advertising, public relations, direct mail and more. 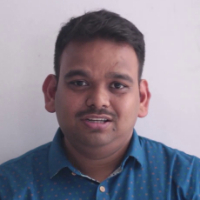 "After completing B Pharma from SBSPGIMS, Dehradun and MBA from IMS, Ghaziabad, I started working in sales and marketing field for various companies. In 2016, I started working for Arosol Pharmaceuticals as a marketing manager and since then I am working there."